We use multiple techniques to create a network analysis of how your website works and it’s over all reach. The first thing we do is to analyse your website using multiple metrics from different graphical locations so we can see how your website performs not just close to home but also on the other side of the world. From these reports we take an aggregate score to give you the information you need to understand were we are starting from. Each test gives us a unique network analysis score which tells us different metrics for each section and each location. Each of the individual tests scores things slightly differently so together they give us a complete picture. Each of the different systems we use gives us a greater insight into how your website is viewed by search engines and the public. GT Metrix gives us the time it takes to load the whole page, including the bits you can’t yet see. We need this to be as quick as possible as again how long before you start to scroll down the page. So in a perfect world your above the fold loads in less than 1.5 seconds and the entire site loads in under 3 seconds. For instance in the GT Metrix image above you will see the load time of our site is 3.00 seconds, but in the Pingdom test (left) the site we used loads in only 0.852 seconds. So is that site really that much faster? So were are the missing seconds. 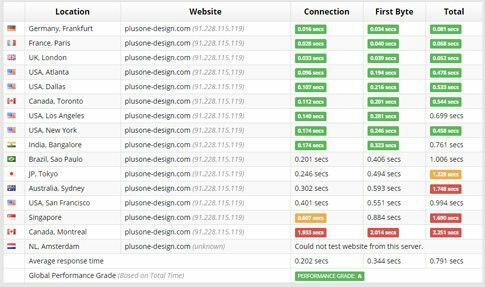 Pingdom tells us the above the fold speed, this means the part of the website you can see on your screen when it first loads. This metric is important as in today’s world if your website takes more than 2 to 3 seconds to load the visible part of your site the visitor has most likely hit the back button. Google Mobile test confirms that your website meets the guidelines on responsive design. What this means is that your website can be used on everything from a Smart Phone with 6 inch screen or a tablet with a 10 inch screen equally well. The Important score here is the user experience of your website on a smaller device, it is important that the user has access to all the same information and usability as if they were using there laptop. Google Insights gives us a Desktop/Laptop score as well. Here the priority is not if the website is responsive for a small screen, but how fast it loads the above the fold information, while still being able to auto adjust from a 14 inch laptop or I-pad to a 27 inch monitor on your desktop. This is were differences in programming and the site design will point out either false negatives, (we have coded something for the mobile response which registers as a negative on a desktops larger screen) or issues that mean we cannot reach that magic 100/100 score. Then to complete our network analysis we run a Load test against your servers. We use software to mimic a certain number of consecutive users and measure any changes in load times when your website is being used by a large number of visitors. In the test on the left we used 265 visitors consecutively visiting the site from all over the World. In the results our average load time was 0.791 seconds (Well under our 3 second target) and the Minimum time was 0.052 seconds, Our slowest load time was from Canada and at 2.251 seconds is still comfortably within our 3 second target time, we are very proud of these figures. 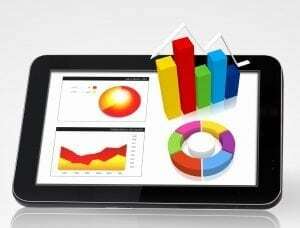 We then take all of the data we have gathered to prepare a detailed report of were your website network is now and what we will do to improve it. Then upon completion of the agreed work we prepare another Network Analysis as a comparison to show you the gains you have made and how this will improve not only your visitors experience but how theses changes have also improved your Internet visibility and subsequently your page rankings.